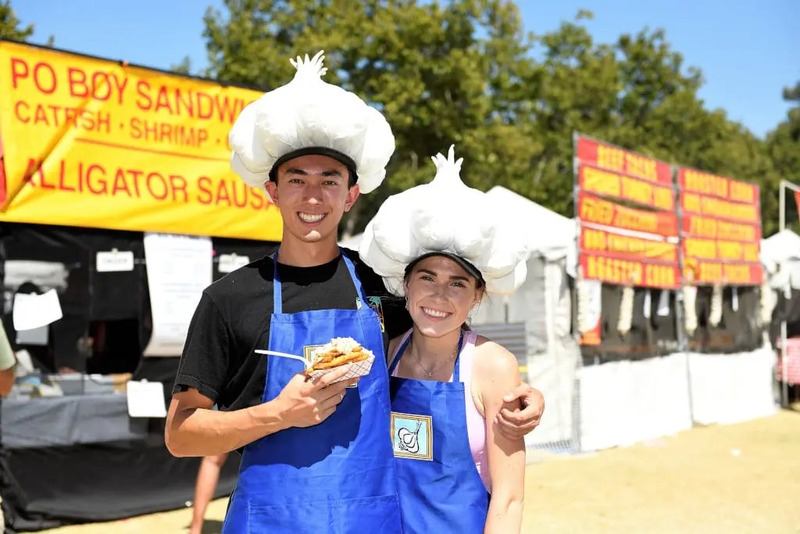 Garlic lovers get your diaries out now and book in July 26 to 29 for the forty-first Gilroy Garlic Festival. This weekend is full of fun and great garlicky food, such as garlic chips and garlic flavoured ice cream. 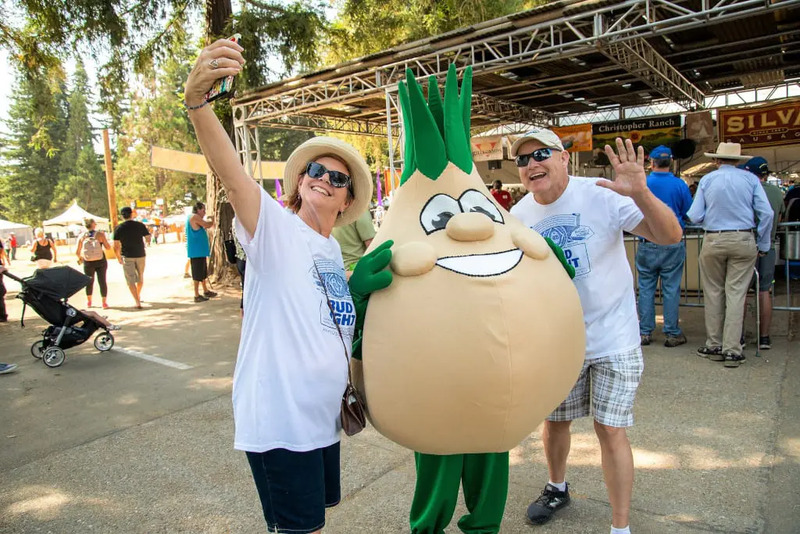 Started in 1979 by Dr Rudi Melone, Don Christopher and Val Felice, the Gilroy Garlic Festival is one of the largest food festivals in America and as a non-profit organisation it gives all money raised to charity. So what does the 2019 festival have to offer? Well, certainly good food and entertainment for the whole family. 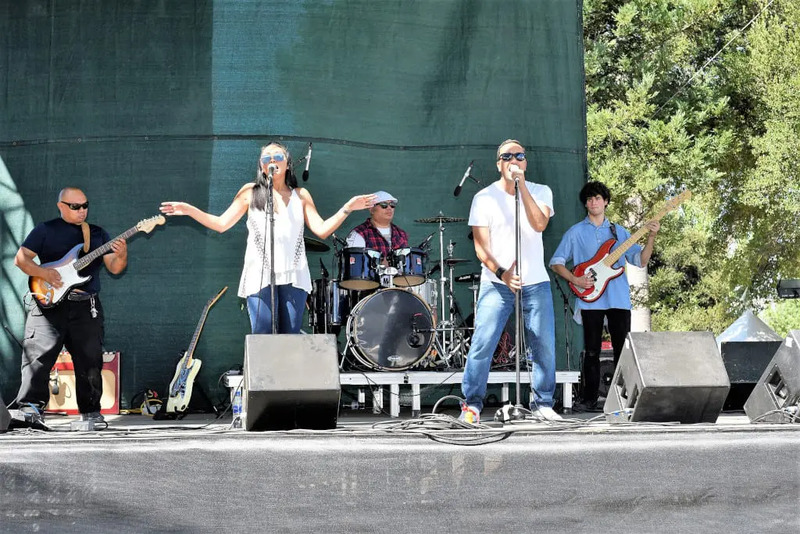 Special events this year are The Miss Gilroy Garlic Festival Queen in which all women between 18 to 24 years of age, who live in the Gilroy area and surrounds can compete. The winner also represents Gilroy in guest appearances in other town events. 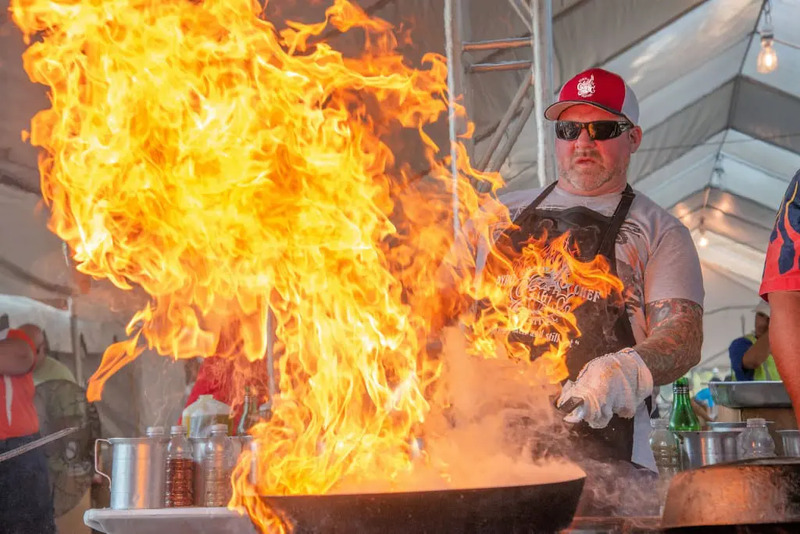 At the heart of the festival is the Gourmet Alley where the official pyro-chefs produce flamed food in huge skillets. Choose between calamari, scampi, pepper steaks, Italian sausage, pasta al pesto and Gilroy garlic shrimps amongst other dishes. Alternative food vendors sell a great variety of food around the festival grounds for the thousands of visitors expected over the weekend. Craft beer is also on sale which will aid you in the dancing later on. 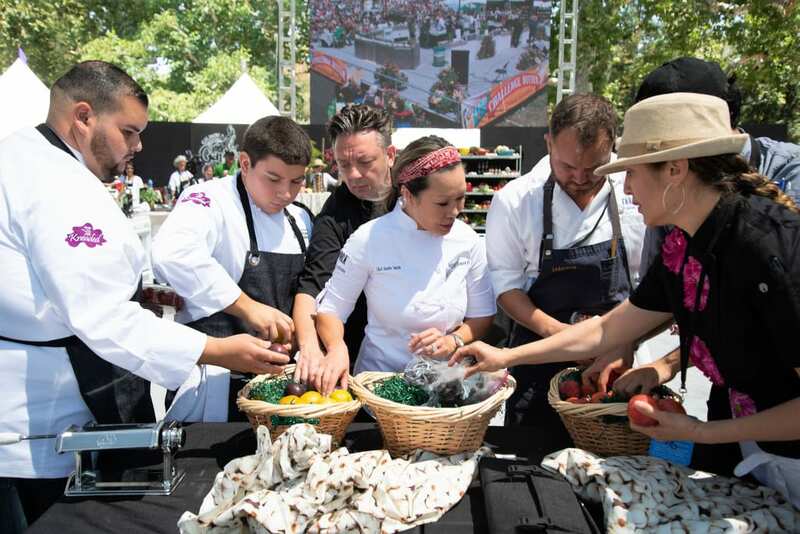 Another most popular festival event is the Gilroy Garli-Que BBQ Challenge where three days of garlicky food is on offer while chefs demonstrate their skills, and various competitors take part. Their culinary offerings are judged by a people’s panel of judges. The Great Garlic Cook Off is a festival event that attracts international attention. Amateur cooks from all around the world are invited to submit their own original recipe. 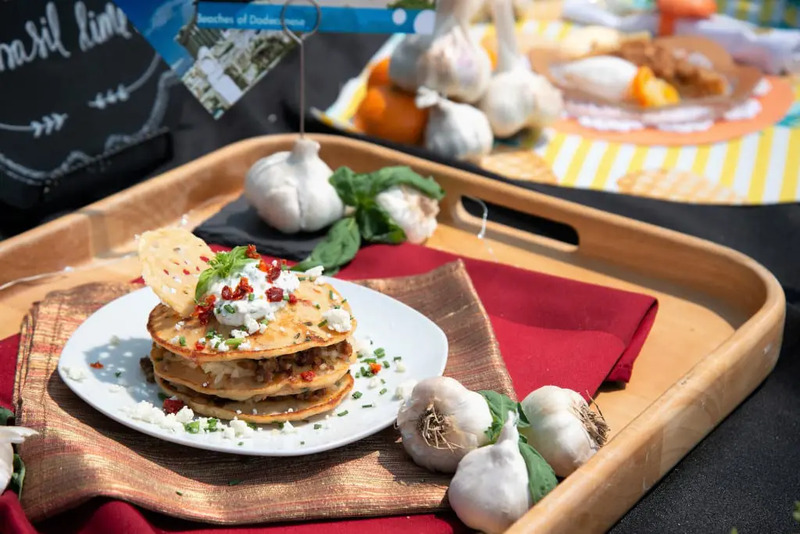 The Garlic Showdown is a prize winning competition for celebrity chefs in which they are expected to add an unknown ingredient. A very competitive occasion. Another festival event involves four teams competing in a charity challenge. The Art Poster Contest is a competition where artists around America are invited to submit an original piece of art work. The winning poster is then reproduced and sold at the Gilroy Garlic Festival. Apart from all the competitions, demonstrations and food tastings there are three stands with live music providing something to suit differing musical taste. There is also a children’s play area with plenty of games for all the family. The easiest way to get your way around the festival park is by Caltrain the free event train provided by the festival organisers. There is also a free bicycle parking. For more travel inspiration on what do in California, read: Yosemite Park and Beyond: Tuolumne County. 26 to 29 July, 2019. To get your tickets for the festival, click here. If you are looking for accommodation for the festival, check out our Hotel Booking Portal. Cover photo, courtesy of Gilroy Garlic Festival, c. Glen McDowell.